VOB is a file format used for storing DVD video. Convert MOV to VOB will effectively help you burn the video to DVD. 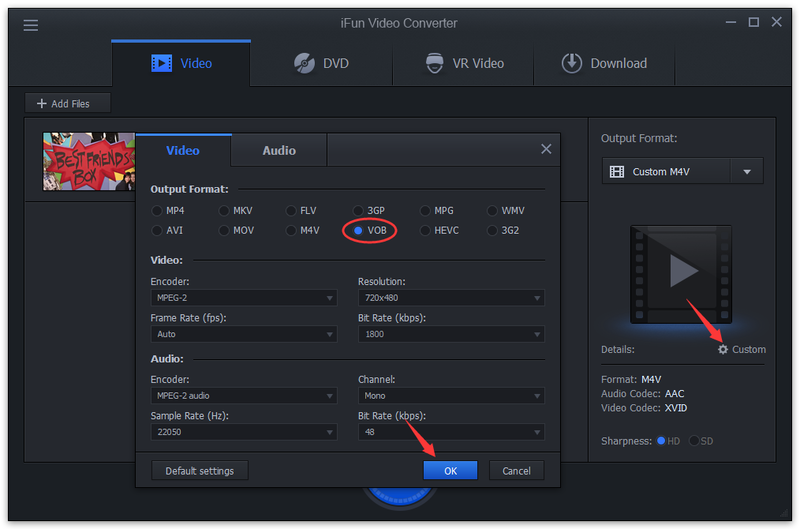 How to convert MOV to VOB using iFun Video Converter for burn to DVD?